Taking a Certified Barbecue Judging class is a great way for competitors to perfect their techniques by learning exactly how their chicken, pulled pork, ribs, and brisket are being judged. Being a Certified Barbecue Judge is also a requirement to judge in the American Royal World Series of Barbecue® Invitational Contest. The class will be held on Wednesday, May 15,2019 at the American Royal Complex. Room: Governors/Ambassadors - Upstairs in the American Royal offices. Please arrive about 15 minutes early to check in and get seated. The class will run about 3.5 - 4 hours. Cost: If you are a current KCBS Member, the cost of the class is $90. Once you have completed the course, you will receive your barbecue judge certification. If you are not a current KCBS Member, the cost of the class is $130. One you have completed the course, you will receive your barbecue judge certification and a portion of your fee will go towards your KCBS membership. The class will be held on Thursday, May 16,2019 at the American Royal Complex. The class will run about 1 - 1.5 hours. Cost: You must be a current KCBS Member in order to take the course. The cost of the class is $55 and at the completion of the class, you will receive your Table Captain certification. If you are not a current KCBS member, please either attend our CBJ class that will be hosted on Wednesday, May 15 or reach out to KCBS for additional CBJ class options. Join us for both classes and receive a $15 discount on your class fee! Register today! Can't make the classes in May? The American Royal will host a Certified Barbecue Judging Class and Table Captain Class during the week of the World Series of Barbecue on Thursday, September 12, 2019. Check back in June for the registration for the fall classes.  If you have any questions about the judging classes, please email [email protected].